Buyers must have an income below $108,500. Buyers whose income is between $75,500 and $108,500 are eligible for $5,000. Buyers whose income is below $75,500 are eligible for $10,000. 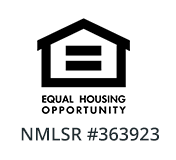 Owner-occupied single family and duplex homes within Minneapolis city limits are eligible. This includes townhomes and condos. Applicants must complete an approved financial wellness program prior to entering into a purchase agreement on a home AND be referred for the program by a participating agency.